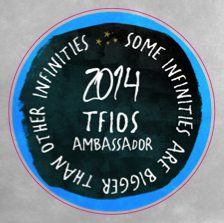 I am so excited to once again bring you more fun from The Fault In Our Stars. The Greatest Romance Story of this decade” is releasing on DVD and Blu-ray on September 16th, are you ready to bring on the feels? 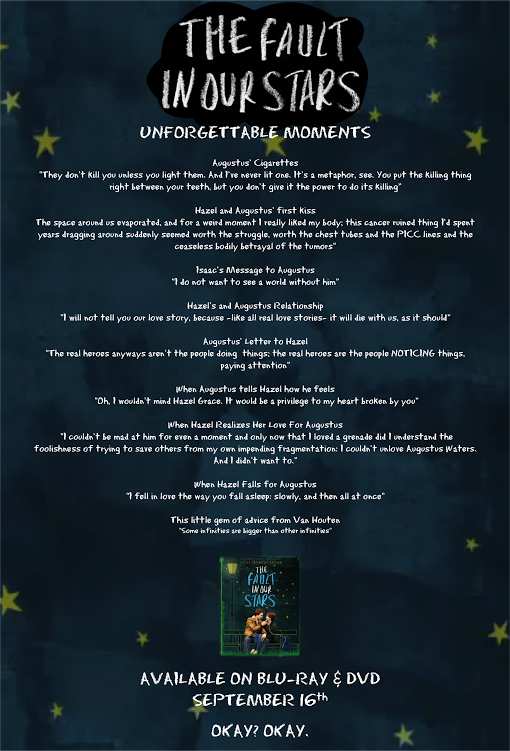 As a member of The Fault In Our Stars Ambassador Program, I have helped in creating a list of the top moments from the film that I would love to relive! Featuring brilliant performances from Shailene Woodley and Ansel Elgort that made the film a favorite of fans and critics alike, this inspirational modern day tale of star-crossed lovers will have you going from laughter to tears and back again. Let us know your thoughts and be entered to win! Have you read the book or seen the movie?! What are your favorite moments that you would like to relive? 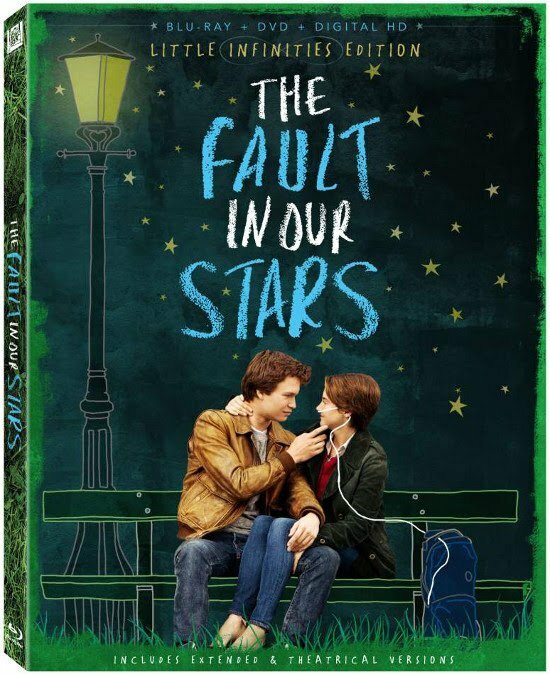 Comment with your favorites and you will be entered to win a copy of TFIOS. (Giveaway open to US 18+ only. Ends 8/2/14. Winner will be selected by random draw through a third party app from all eligible comments). PreviousWant to know how easy it is to enter to win a trip to Disney Aulani Resort and Spa? NextTailgaiting Essentials – What do you need?